Each year I’ll find myself covering one or two long-distance photographic projects in multiple locations around England and Wales for clients who would rather book me and trust they’ll get consistent results than book a series of photographers with a mixture of styles and approaches and find the results are variable, and already this year I’ve popped over to Essex, Norfolk and up to the West Midlands for a client needing photos of care homes for the elderly. I quite enjoy traveling, seeing different places and meeting people from all over the country, but my first tour of this year became a bit of a challenge, especially when I found myself in a hotel just outside Birmingham, monitoring increasingly alarming weather forecasts foretelling of several inches of snow. Still, I’d rather be a photographer than a policeman! Indeed, it snowed so hard on the Thursday and Friday of that week that I had to book an extra night in my hotel because to try to travel home on the Friday night would have been folly. 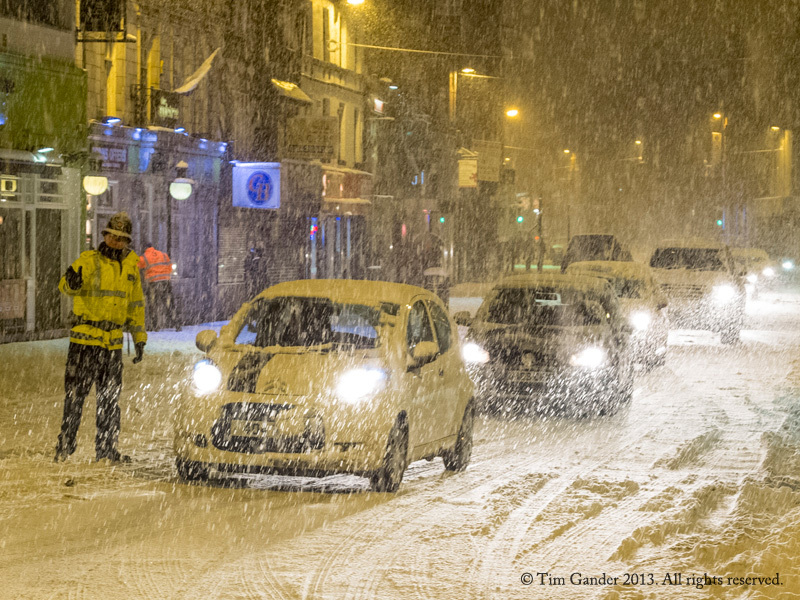 Drivers in Gloucester and Somerset were becoming trapped and I didn’t fancy joining them. I had two sites to visit on the Friday, and while I managed to get to the morning one, it being a 10-minute walk down the road, I had to postpone the afternoon site until the following Monday, meaning yet another hotel booking and more miles to cover. It’s all part of the job though. Even when the weather isn’t being a nuisance, logistics is part of the job of being a photographer; booking places to stay, making sure I set off in good time to make the appointments, adapting when things don’t go to plan, liaising with the client, and I have to say I get some satisfaction from the task of ultimately fulfilling the brief even when there are big challenges. Ultimately, my job is to get the pictures the client needs with the minimum amount of fuss, and the pictures must fulfill the brief. They can’t be below-standard just because things don’t go smoothly, though last week’s exterior shots of the homes were a bit of a challenge, everything being carpeted in white. Still, it all looked very pretty.